Warning! Spoilers from Ep 45-46. 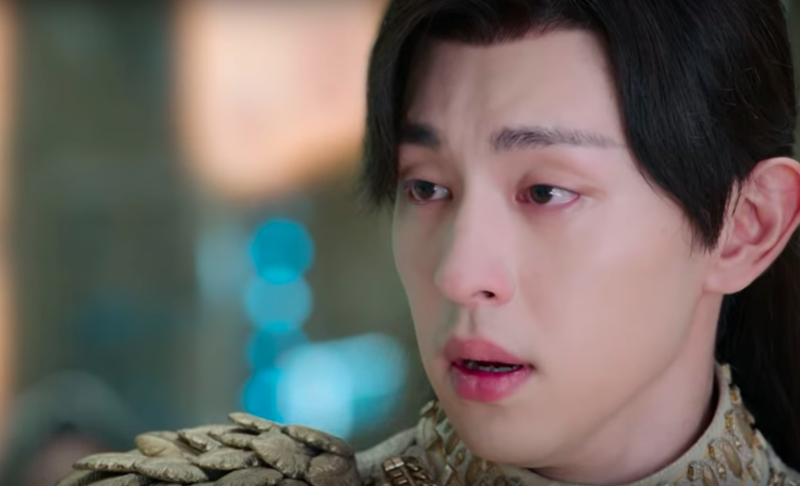 Because I still can't get over a lot of things in these episodes, here's a quick rundown of where we are in Ashes of Love. That part that everyone has been waiting for has finally arrived. 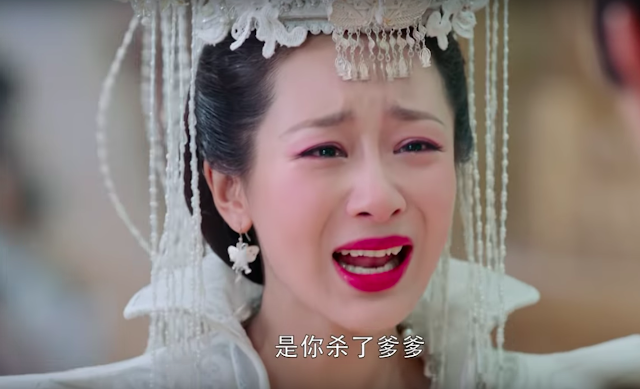 I'm not a book reader, but by this point, I've seen enough requests for Jin Mi to stab Xu Feng sooner to get an idea about what's to come, and it's as heartbreaking and angsty as imaginable. There's so much raw emotion emanating in these scenes, that I'm reminded why this show has been so addictive. The big wedding commences midway through episode 45, yet not one person is happy, not even Run Yu who is technically the greatest benefactor from the union since he finally gets the girl he so desires. However, both the groom and the bride are too preoccupied with more pressing matters. 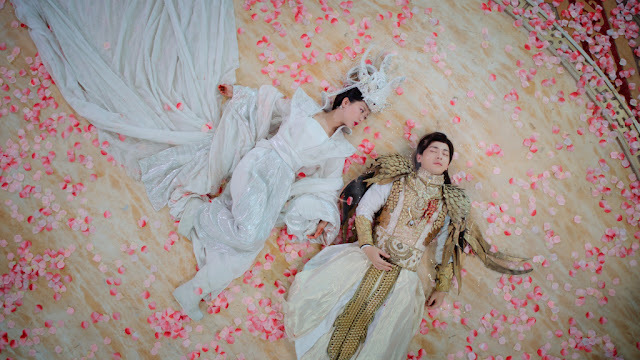 Run Yu, our second lead-turned-villain, is busy plotting a rebellion, and our heroine, Jin Mi, is plotting to kill Xu Feng. 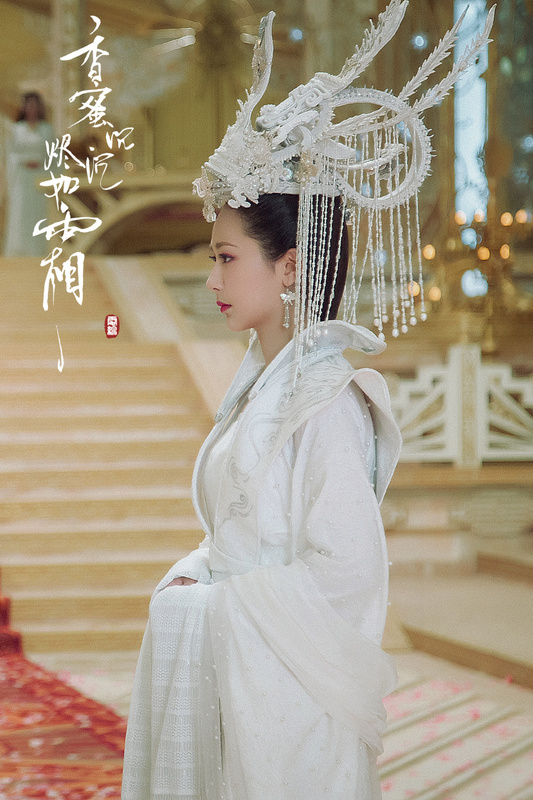 She's given Xu Feng a strand of her hair under the false pretence of love and tells him to put it with his nei dan (the most vulnerable part of him). In my mind, there's no justifying it, it's pre-meditated murder (towards the wrong guy at that, since he's innocent). 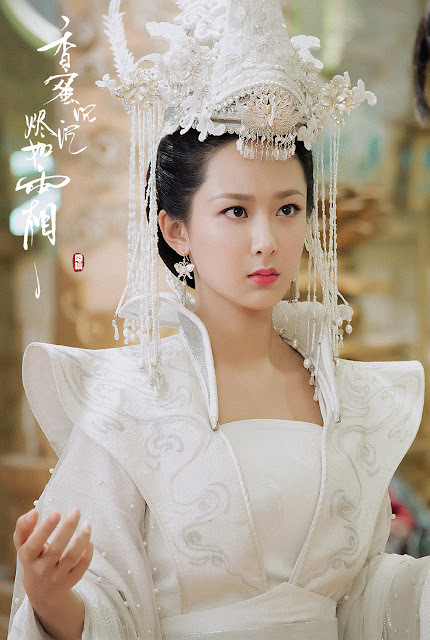 Run Yu proceeds with the rebellion and Xu Feng barges in to stop him and the wedding. 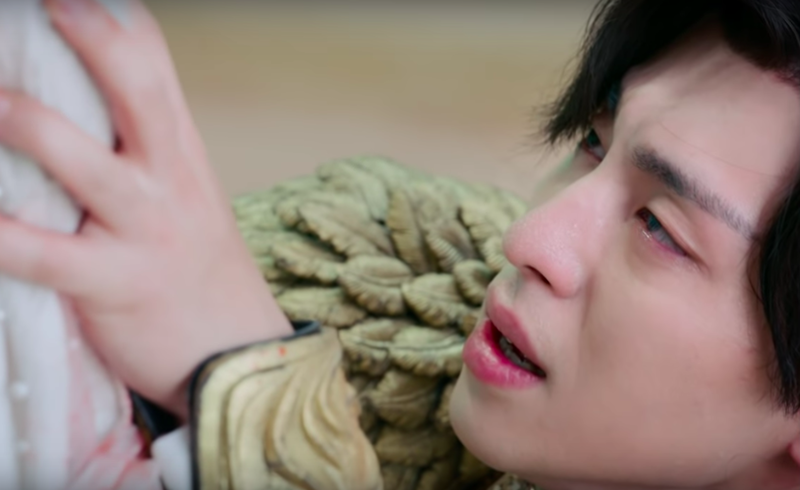 Liao Yuan Jun dies trying to protect Xu Feng in the fight. Let's dwell on that for a moment because he was such a likeable character, yet there's no time to grieve. 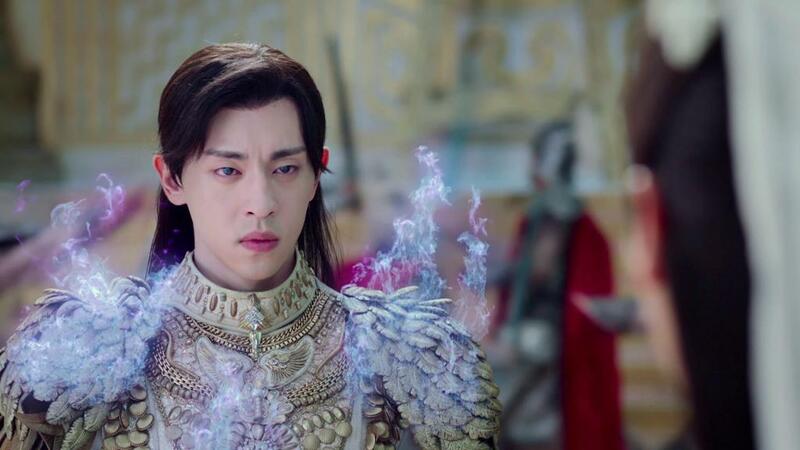 With the loss of his friend, Xu Feng's eyes glow in anger and he prepares to unleash his deadly lotus fire. This triggers all of Jin Mi's deepest insecurities and nagging suspicions as she sees the very thing that she believes Xu Feng used to kill her father and stepmother. She stabs him - in the back. What can be worse. He turns around to ask her why because the poor boy really hasn't got a clue. She yells that he killed her father and stepmom. He falls to the ground and asks if she ever loved him. After he dissipates before her eyes, she crumbles from shock and spits out the unfeeling pill. Thank god that's out. She cries the most gut-wrenching, "Phoenix!" But it's too late, the deed is done. I really liked how the way the scene was handled and Yang Zi's duality as the person who's in love with Xu Feng and the one who wanted him dead. Props to her, props to the cast for acting their hearts out. Is there anyone who didn't weep watching this? As her two personas merge, what's left is a world of pain. How she will deal with the aftermath and overwhelming guilt, I don't know. It's not like she can kill Xu Feng's killer, because it's her! In the preview for tonight's episode, Xu Feng lives but he's barely hanging on. Sui He tries to stop Run Yu, but fails. I can't believe we're rooting for Sui He now and counting on her to protect Xu Feng. On Run Yu's orders, the Bird Tribe Elder attempts to kill our already dying Phoenix again. i skipped a lot too haha but latest episode has me glued to the show again. Made some edits above to make it more clear. He didn't kill her parents, she just thought he did. Sui He disguised herself as Xu Feng and killed the Water God and Wind Goddess. I doubt she thought Jin Mi would go as far as to kill him though..Water God managed to injure Sui He on the left ear before he died. I the latest episode Ren Yu sees the wound and probably knows now too. Now that this wedding scene is over, I can start watching all full eps again. 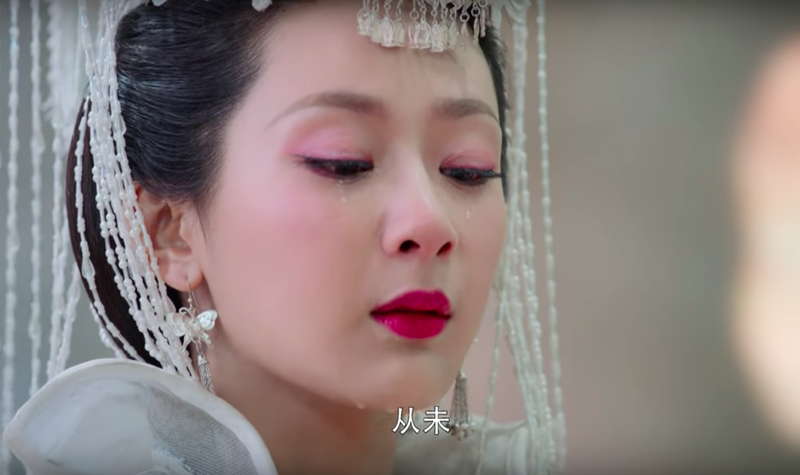 I have been skipping around and only watching Jin Mi and Xu Feng clips for last week eps. Yang Zi acting is so poignant and antsy after she stabbed XF. Her sudden urge for revenge before killing XF and her conflicted expression after killing XF make me have so much sadness and distress. I don’t remember Xu Feng getting killed again by bird tribe in the book. I am gonna enjoy JM feeling all those pent-up emotions exploding in her for killing XF. Xu Feng, the great Demon Lord will be back on screen by ep51-52!! That Xu Feng was a fake. Sui He has been keeping his real body somewhere else. Much like the novel, he only has a thin piece of his soul left and no real physical body. 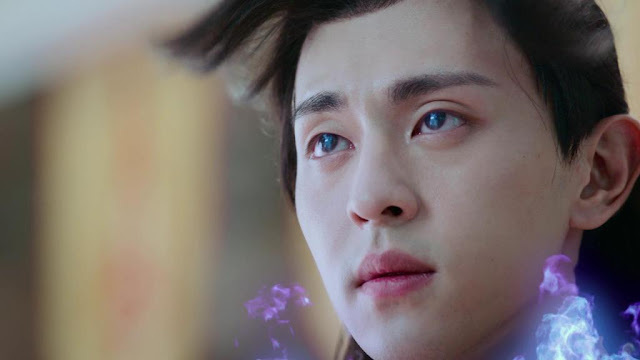 Xu Feng will either be revived either tonight or tomorrow since Jin Mi will be getting the pill in 49-50.